The inception of CSP work in Kolkata slums began in 1969 with distributing re-constituted powdered milk obtained as a gift from the Indian Red Cross Society, to children in South Calcutta slums. By 1972 this informal association had grown both in the number of volunteers and scope of work and was named “Calcutta Social Project”. The Memorandum of Association and the Regulations of Association were submitted for registration under the West Bengal Societies’ Registration Act. 1961. 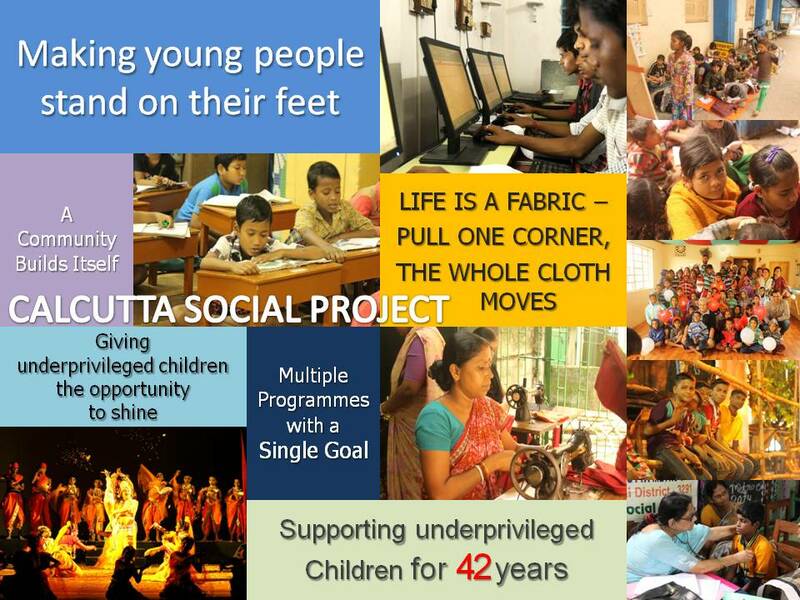 Calcutta Social Project was registered on the 1st of September, 1972 with Registration No S/12082 of 1972-73. The registered office was the Karlekar home at 172/3, Rash Behari Avenue, Calcutta 700029 until 3rd February, 2010 from where it was shifted to 114A Motilal Nehru Road, Kolkata 700029. On 14th June 1982, the organisation was registered as a charitable organisation under section 12A of the Income Tax Act. 1961 and the provisions of Sections 11 and 12 of the Act became applicable. The Project was registered also under section 8OG of the I.T. Act. FCRA registration to qualify for receipt of foreign donations was obtained on 8th January 1985. The Project works in the slums of Manoharpukur 2nd Lane, Manoharpukur Road, Motilal Nehru Road, Panditiya, Garcha, Harish Mukherjee Road and Chetla in South Calcutta, , and with street children on Madan Street near Chandni Market and Bowbazar in Central Calcutta .